Join us at the pot luck dinner January 27th and meet our incoming officers. I have had two nice years as President, and wish to thank you, all the board members and standing committees for your help and support. Special thanks to Frances Sargent for stepping in as secretary for the year. I have been asked to be in charge of ways and means next year so I'll be in contact with you to help out the raffle items. We still need 1-2 volunteers to do table decorations for our 4 pot luck meetings. If you are interested, call me or Russ Monroe as soon as possible. See you at the Pot Luck January 27th and do bring a friend! 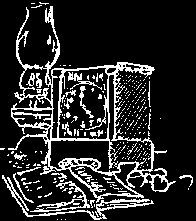 Program: FAIR OAKS POT POURRI! 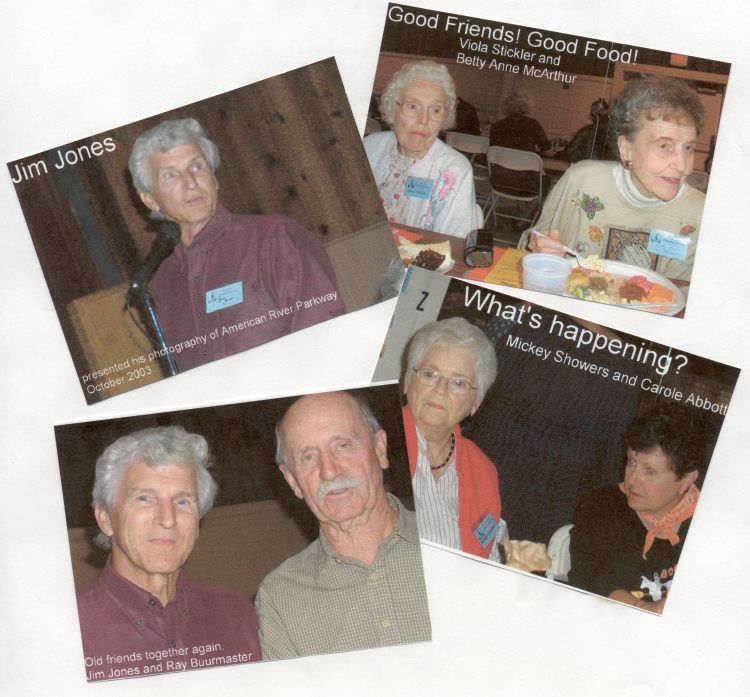 Last January our program was a pot pourri of interesting stories told by Fair Oaks Members. This was one of our most interesting and popular programs. So, we are doing it again. This time we are narrowing the scope to "THE MOST____." The subject could go - the most generous person, the stingiest person, the kindest person, the meanest person, the most brilliant person, the dumbest person, the richest person, the poorest person...you get the idea. You can create your own category, but try to limit it to superlatives, honorifics or pejoratives. And you only have to take two to three minutes, not more than five, please. This request was circulated at the December 14, 2003 open Holiday Open House. As a result, we have NO firm commitments yet. So if we don't get five to ten, it's going to be a short program. Please call your new vice-president and program chairperson SHERRY WOOD at 944-4812. Please don't make us beg! 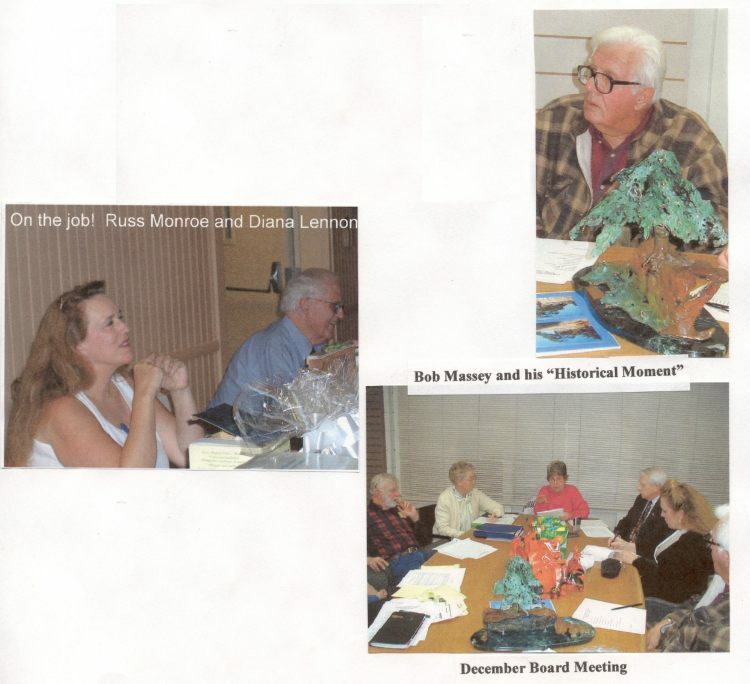 Several board members attended the December 18th. F.O. Rec and Park Board meeting and requested a new sound system for the Community Club House. Larry Masuoka submitted a total package for interior and exterior components amounting to $18,000. That package has been put on a wish list for '04. Russ Monroe will bring up for discussion the Historical Society helping to get the project started with some seed money in cooperation with the park district. A BIG BRAVO and THANKS go to BOB MASSEY who has gifted the society with early receipts from Fair Oaks businesses. They date between 1928-1933. This donation will be of interest to all who visit our museum to learn more about its growth and development. We need someone who can be responsible for making computer entries and training a few of us to use the program. There are thousands of entries which need to be made, and a few who are willing to do so. But, we need someone to train us. Please call Lois or Steve. Thanks! The board approved the request for a life family membership for Gregory and Jean Miller of Fair Oaks. It will be approved by the full membership on January 27, 2004. Contact the history center or officers for copies of the Fair Oaks Walking Tour and/or Fair Oaks History Society Brochure. 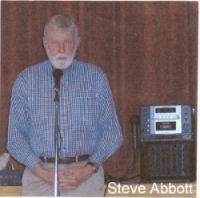 Steve Abbott has given on loan four new exhibits including a Fair Oaks Fruit Company 1909 bottle, Fair Oaks reading material from the Dixon family (1917), tobacco tins which were available in 1900, and 6 new photos of the area. 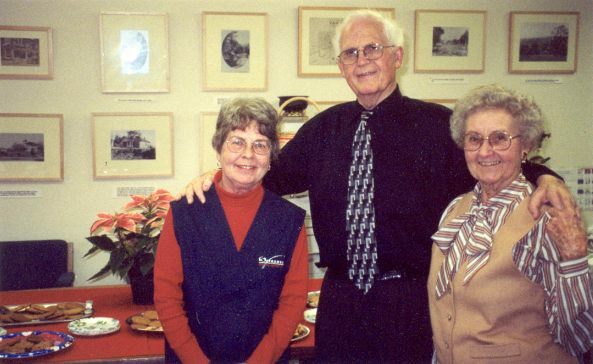 Our Christmas Open House was held on December 14, 2003. Thirty-eight visitors signed the guest book. Thanks to all who furnished refreshments. The History Center is located in the Administration Building at the Fair Oaks Cemetery. The hours are 1:00 to 4:00 pm. Docents are needed for the 2nd Sunday of every month. If you would like to be a docent, call 967-2967. There are some different pictures on the wall and new items in the "cigar case". Stop by any 2nd Sunday. THE FOLLOWING PEOPLE HAVE BEEN DOCENTS FOR THE YEAR 2003 - THANKS!! Fran Sargent, Lois Frazier, Larry and Meg Smart, Gordon and JoAn Heidt, Diana Lennon and Bob Barrett, Billy Hinsey, Charley Blatchford and Ralph Carhart, June Melvin and Ione Radonich, Joe and Mary Debrowolski.